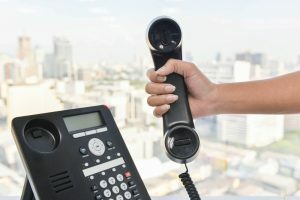 Confusion and a sense of being overwhelmed is something that many business owners will feel when considering a new phone system. When you have an older business phone setup throughout your company, you will see that making the switch is something that will be very beneficial in the long run. It is all a matter of calling our team of professionals at Empire Technologies to help you with expert business phone installation in Walnut. Have you been giving thought to your options in a new phone installation? You should know that the answers will be clear once you talk with a team that understands everything that is available to you. Remain In Control – You have the power to create the phone installation for your business that is just right, fully tailored to your needs and whatever budget that you have to work with. Smart Calling Features – Our technicians have all of the latest technology at our fingertips and we are ready to put all of these calling features at your fingertips. You can enjoy call waiting, call forwarding, multiple voice mailboxes, caller identification, three-way calling and everything that you need to tackle all of your conference call needs, call tracking and so much more. Reliability – Long gone are the days where you have to worry that your phone system may go down when you least expect it. We have the right systems and all of the modern technology that you need for crystal clear calling for your business so that you and all of your employees are able to communicate with vendors and customers with ease. Are you worried that you may have some issues with your business phone installation after it is up and running? Empire technologies will also be there to assist you with all of your tech support needs and any tweaking that may be required along the way. When you are in need of business phone installation in Walnut, you can count on Empire Technologies. Call us today at (714)422-0431 for a consultation.